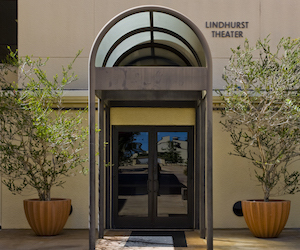 The Seaver College Theatre Department will perform the play Circle Mirror Transformation at Lindhurst Theatre on the Malibu campus at 7:30 PM from Tuesday, October 3, to Friday, October 6, and at 2 PM and 7:30 PM on Saturday, October 7. When four lost New Englanders enrolled in Marty's six-week-long community center drama class begin to experiment with harmless theatre games, hearts are quietly torn apart and tiny wars of epic proportions are waged and won. Written by Annie Baker, Circle Mirror Transformation is a beautifully crafted diorama in which audiences will see, with hilarious detail and clarity, the antic sadness of a motley quintet. Hollace Starr, assistant professor of theatre at Pepperdine University, will direct the student cast. A talkback session with the actors and director will take place after the Wednesday evening performance. Tickets are $15, and are required for attendance. The production contains adult situations and language. For additional information about the performances, and to purchase tickets, visit the Center for the Arts website.